Are you worried that an inappropriate mattress might harmfully impact your baby's growth and health? If so, you are one of the countless parents with this issue. Spinal malformations, allergies, and deformations are just some of the myriad of issues caused by improper bedding. It can make you think twice before you decide to save money on this particular purchase. A proper and chemical free crib bed for your infant is undoubtedly something that can impact its development and health. After all, we want what's best for our children. 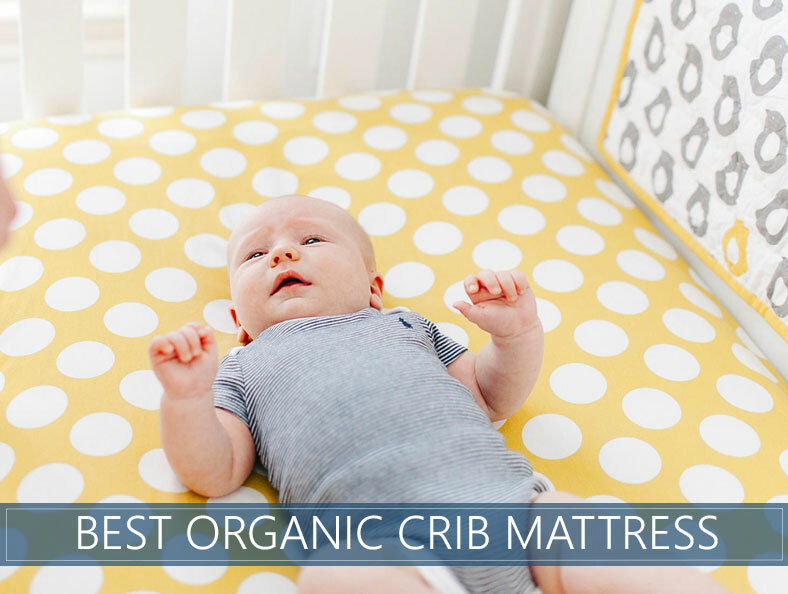 Purchasing a highly rated organic crib mattress should help ensure that your baby grows up safe and free of any such potential threats. 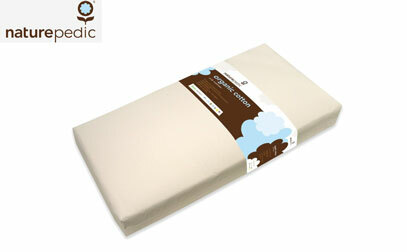 What Makes an Ideal Organic Infant Crib Mattress? Are Organic Crib Beds Worth It? Of course, this is a lot easier said than done. This is why we've decided to go ahead and provide you with a list of our recommended products so you can make a reasonable purchase. Additionally, we've also created several short reviews which would, hopefully, simplify your choice and save you a lot of effort, hassle and time. With all this in mind, let's have a look at the following. 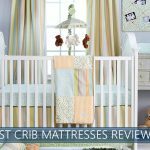 If you want to see our complete list, check out our comprehensive guide to crib mattresses. If you are short on time, check out the Newton Wovenaire. It provides full body support that should reduce the risk of any potential spinal deformities. And it's made from 100% natural and healthy materials. Now, the first thing you ought to know is that the vast majority of beds on the market, including the ones for toddlers, have a vinyl covering. This is designed to assist with the bed's waterproof properties. However, what you may not know is that babies may potentially breathe in these particularly harmful plasticizers or absorb them right through their sensitive skin. And if they do, the exposure may cause a range of health effects, including severe conditions such as kidney and liver damage, cancer, asthma and others of the kind (source: FDA.gov). This is because PVC is a specific type of commonly used plastic which is made of 43% carbon and 57% chlorine. These are obtained from oil or gas by ethylene. When you combine those with Phthalates, crib mattresses could easily provide a toxic sleeping environment which is known to introduce chemicals known as endocrine disruptors. This could be deadly if the child is a dialysis patient or has received a blood transfusion. Additionally, PVC is well-known to be amongst the most toxic plastics used to date. The combination of chlorine and petroleum is also a well-known human carcinogen, which could induce cancerous conditions. 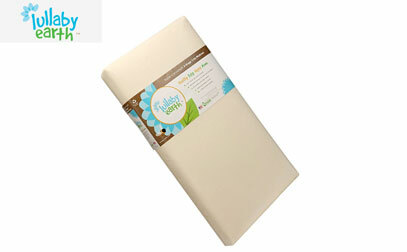 Naturally, a baby mattress that's non-toxic should deliver many benefits, including the prevention of many risks. Now, you might notice that the label of your crib bed features the word polyurethane. While this is a sign that the product is not entirely all-natural, there might not be a need to worry if you see the CertiPUR-US certification label on it. This certification attests to a few different things. It means that the product is made without the usage of mercury, heavy metals or lead, PBDE flame retardants, ozone depleters, chlorofluorocarbons, and other harmful ingredients. It also means that it's tested for durability and performance which is an added benefit that you should consider. Furthermore, every certified product is analyzed as well as tested at least two times throughout the year. And, to make matters even better, this is a certificate which is obtained every year. The consensus appears to be that you can rest assured that CertiPUR-US certification guarantees the integrity of the materials in the mattress and the safety of your baby. It's the thing to look out for when you're choosing the perfect organic baby mattress for your family. So, long story short, even if you see a polyurethane count in the mattress's blend, as long as it has this certification, you should be able to rest assured of a vast number of things. When it comes to infant crib beds, the main fire retardant is PBDE's. They've been around for quite a long time and they break down over the prolonged period, releasing themselves into the household dust. As you may imagine, babies are prominently exposed as they breathe the air directly from the source, facilitating skin absorption from touching things which have a lot of dust on them and from simply crawling on the ground. The thing about PBDE's is that they are capable of causing immune suppression, serious behavior changes, cancerous conditions, developmental delays, and others of the kind (source: National Institutes of Health). Like many parents, you will likely cringe just upon hearing about all of the above conditions and you should take the necessary steps to prevent them. As you are already well aware, you should make sure that there is a CertiPUR-US certification on the product you've set your sights on, or an array of organic certifications. The Greenguard Certification is another recognition, attesting to the fact that the mattress has gone through rigorous testing. It means that it has been put to the test by some of the most stringent standards for low emissions of VOC in your enclosed indoor environment. This is the basic Greenguard certification. However, there is also a Greenguard Gold certificate which includes health-based criteria of other chemicals as well. The gold certificate also requires substantially lower VOC emission levels, guaranteeing that the product could be potentially used indoor and that it's safe for toddlers. With this said, if you have the Greenguard Gold certification, you should still check to see if the mattress is completely organic so you can rest assured. Checking those labels can help to make sure that everything is handled as per the highest standards. After all, it's a matter of the health of your baby, and that's not something that you should compromise. If there is still a shred of doubt regarding the trustworthiness and effectiveness of organic mattresses for your baby over the cheaper and more harmful ones there are couple more things to mention. Here are several benefits and why it's worth investing in an all-natural infant crib bed. That's pretty much it. When you invest in a cheaper mattress, you run the risk of getting the actual minimum. This means that chemicals, and their associated danger to your child, have the chance of being present. On the other hand, when you go for an organic model, this means that you'll probably have to put up a little more cash. (But if you are also looking for specific recommendations and explanation of our rating system, see our best-rated mattress page). If your kid is troubled by allergies, going for anything other than eco-friendly crib mattress could be a very bad idea. Traditional ones will most likely contain a myriad of chemicals, which are likely to aggravate or trigger the allergies. Organic products are hypoallergenic which makes them specifically intended to cut down on a myriad of allergies. They are also designed in a manner to naturally refrain the dust mites from polluting your mattress which could trigger severe allergic reactions. The wide majority of organic mattresses are made of materials which are all natural and, hence, entirely recycled. Traditional mattresses, on the other hand, emit a range of harmful chemicals which could easily deplete the critical ozone as well as the earth itself. Sudden Infant Death Syndrome is a tremendously worrisome consideration to a lot of caregivers and parents. A few different scientists have already made claims that the baby could easily absorb the toxic gases associated with the unpackaged memory foam mattresses and this could lead to SIDS or crib death. On the contrary, chemical-free (non-toxic) infant mattresses tend to have a substantially lower SIDS rate when you stack them against traditional, toxic-releasing beds. The entire bed is washable and hypoallergenic. It contains no springs, glue, foam or any other types of allergens. Attesting to the seriousness of this claim is the currently active Greenguard GOLD certificate. It's also firmer than most products we have tested. This should reduce the risk of suffocation while at the same time it brings much-needed comfort. The material used is breathable and you should be able to rest assured that your baby won't wake up crying and sweating in the middle of the night. It's recyclable, eco-friendly, comfortable and one of the highest quality products. If you want to give your baby the ultimate comfort to grow up healthy and strong, Newton Wovenaire comes highly recommended. This product received the GREENGUARD Children & Schools Certificate too. This means that the mattress has managed to successfully undergo a series of rigorous testing, determining its safety and convenience. Passing the strictest standard is undoubtedly challenging, but it also means that the product manages to check out on the indoor air quality tests which are a big deal. The product comes with a dual-firmness design, adding more support to your infant which is undoubtedly something that you should be looking for. You need to make sure that there are no spinal misalignments and that your kid grows healthy. The cover that comes with the product is also certified as an organic product which is important as it will come in direct contact with your kid. It also features some additional waterproof backing which means that the cover won't allow your bed to get wet. This spares you a lot of hassle as bed wetting is undoubtedly something that you'd have to be worried about if you didn't have a waterproof cover. In terms of comfort and support, the product has managed to conveniently pass the two-finger test which is something quite substantial. It is a safe solution which would enhance the sleeping sensation of your infant and provide safe growth. This mattress offers a few different reasons for which we believe that it is superior to competitors and convenient for your toddler. Let's have a look. Right off the bat, the dual firmness of the mattress comes alongside organic cotton fabric and filling, allowing you to feel as if you are sleeping on a cloud. This is something that kids love. You can rest assured that they will be getting quality sleep through the night. The fabric is also quite easy to maintain. The product is stain-resistant and waterproof to prevent bedwetting spots as well as other unpleasant formations. The bed brings an enhanced amount of support thanks to the dual firmness construction. It has a very firm side which is great for newborns as well as a softer and more comfortable side which is intended for toddlers. In an attempt to ensure the perfect balance and support, the mattress uses a 150-coil innerspring. There is also a reliable 9-gauge edge support to prevent potential slip-offs. The product has conveniently and successfully gone through rigorous chemical emission testing to ensure the safety of your child. This product comes with limited warranty backing it up. 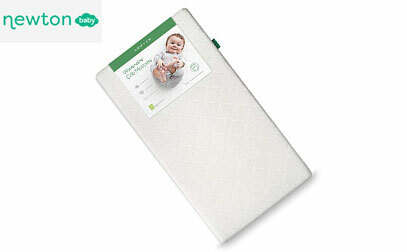 Even though looking for your non toxic baby mattress could be quite challenging, this particular unit is here to simplify things by offering you whatever you may need. Right off the bat, the crib bed strikes you as being particularly lightweight which adds a lot of conveniences. It comes with a weight of 7 pounds which is essentially inconsiderable, yet it makes it easy to carry around without added effort. Also, the light weight also makes it incredibly easy to maintain and clean. You can change your sheets in an instant. The product is also supportive and waterproof. It comes with a firm and yet smooth surface which is amongst the important prerequisites to make sure that your baby's safety is prioritized. The edges are reinforced to provide the unit with additional strength. This, as well as the high-quality filling, should ensure that the product doesn't really sag. All of the materials used in the mattress are free from allergens, and they are food-safe. The product is entirely manufactured in the USA, explaining the slightly elevated cost. It's also backed by a limited lifetime warranty, and it's free from flame retardants (PBDEs) and from other chemicals as well. The thing you need to consider is that a mattress that's uncomfortable for your kid would make it quite difficult for the child to find the sweet spot and fall asleep. This could lead to a myriad of different issues. Not only is it incredibly cumbersome for parents but it's also something capable of stagnating the development of the kid. This is unacceptable, especially at this early development age where everything is of significant importance. I recommend looking for a high-end organic solution which is comfortable and which provides the necessary support as well. Generally speaking, firmer beds are preferred for newborns and babies and softer and more comfortable options are more for toddlers. A waterproof covering could be quite useful when you're considering a mattress for your baby. The truth is that babies spill and stain like no others and, hence, this could quickly damage the main surface and essentially ruin the entire mattress. This is why you need to take the opportunity and assess different options when it comes to waterproof covering. This is always a very wise decision, and it's one you ought to make while you're shopping. It is quite important to be aware of this before jumping right into an impulse buy and regretting it further on. The covering would not only prevent fluids from damaging it – it would also enhance its appeal and prolong its overall shelf life. Is the surface of the mattress breathable? When your baby is sleeping, he or she must be able to breathe easily. If you have the wrong mattress, though, this could quickly become a challenge. Experts have already stated that materials which are breathable are often the most useful options on the market since babies don't have lungs as powerful as ours. A breathable surface should keep your baby safe as well as healthy. There are quite a lot of different materials which could be used in this regard, and it is usually reasonable for you to pick up the one that feels comfortable. The size is going to matter as you would have an established crib. If the mattress is too large and it doesn't manage to hug the railing conveniently, this could easily lead to some injuries for your baby, rendering this option absolutely inappropriate. It needs to fit the bed, and its size needs to cover it from one corner to another. The firmness, on the other hand, is very important. The general rule of thumb is that your mattress should be firmer if you want to enable your baby to sleep tight without any risks of spinal deformations and other harmful and potentially dangerous threats. At the same time, you should ensure that the kid feels comfortable right on the bed as this is going to induce a more profound night's sleep, alleviating the stress from pressure points such as the shoulders, hips and lower back. Which Mattress Should I Pick As My Child Grows? Anyone in the process of raising children knows how fast they outgrow their clothes, shoes, and toys. For an expensive purchase, such as a mattress, you’ll want to carefully choose a brand that will adapt to your child’s growing body and needs so that you get the maximum return on your investment. Look for versatile brands that put a premium on a “universal feel” as well as durability. Finding an organic crib for your infant is incredibly important, but there are so many things to account for that it could quickly get overwhelming. With this in mind, we hope that this guide helped you narrow down your choices. If you want to make a decision right now, check out the reviews above. Should you need any further information or if you have any remarks, do not hesitate to leave a comment and we will try to reply as soon as possible. Hello, Can you please elaborate on the ‘con’ of the Lullaby Earth crib being ‘not as supportive’? I am unsure what you mean by this and would like to know as I am considering this crib for my daughter. Thank you. Most mattresses are a blend of firmer support and softer comfort. You may find that this mattress is a touch softer than the others on the list. I hope that helped! Thanks for reaching out! 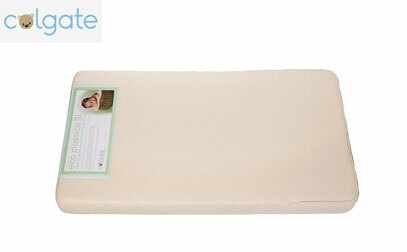 Do you have an opinion on the Babyletto mattress? I do not believe we have reviewed that one, but we will add it to our list. Thanks for reaching out!